Every driver, no matter how skilled they are, can have a terrible day behind the wheel in the blink of an eye. Braking late, switching lanes too soon, or driving over a deep pothole can all lead to an accident that you never could’ve foreseen when you got in your car earlier in the day. While they aren’t foreseeable, accidents are something you should always be prepared to handle. Having insurance helps you handle your financial responsibilities and even the communications between you and the other parties involved. How a crash can affect your insurance record and for how long depends on the state you live in, other blemishes that have been reported in the past, and fault allocation. Start comparing car insurance rates now by using our FREE tool! Enter your zip code above to get started! 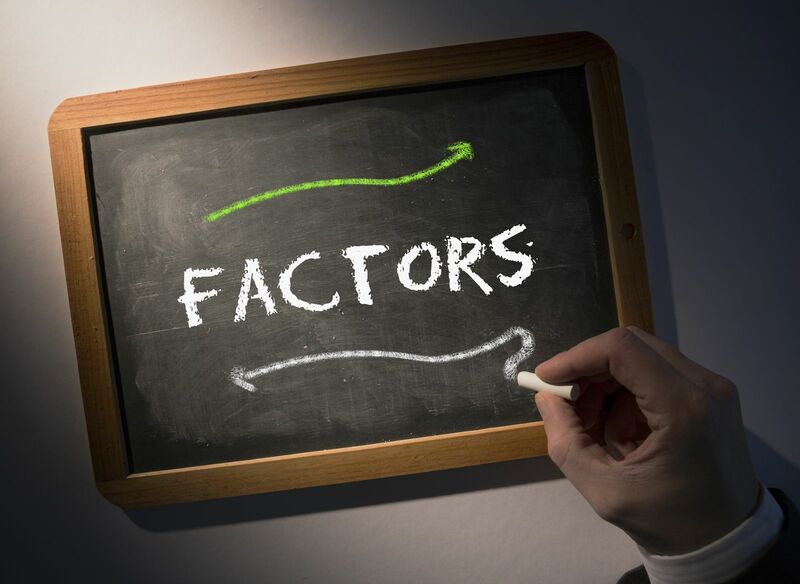 What are rating factors and why do they matter? Do accidents always affect your rates? Is your surcharge dependent on the amount of the claim? For how many years is an accident surchargeable? What if there are injuries in the accident? Why do insurance companies care about accidents that happened in the past? How can a company see your accident record if it wasn’t reported to the DMV? Can accidents affect your rates after three years? Insurance companies don’t just pull the rate that they quote you out of thin air. To determine a rate, the underwriter will look at a number of different factors that affect how likely you are to get into an accident that results in damages. Some of these risk factors are based on your personal information and other factors are based on your driving habits and actions. It’s important that you know which factors will keep your rates high and which can push them down. Your accident record More accidents equals increased risk which equals higher rates. Your age, gender, and driving experience Statistics show that young males without much driving experience are at a higher risk for accidents. Your credit score Credit score is an indication of how much risk you are on the road. This factor is not admissible in all states. How often you drive More time on the road equals more opportunities for accidents. Your driving habits How you drive and when you drive will either increase or decrease your overall risk for insurance. Your credit-based insurance score A good score will result in better rates. Your occupation Different occupations have been associated with safer or more dangerous driving habits. This is not an acceptable factor in some states. Your rates aren’t guaranteed to go up after an accident but it’s a possibility. In most cases, for an accident to have an impact on your rates, it must be deemed at fault. If there’s some form of shared fault, you must be at least 51 percent to blame for the crash occurring in the eyes of the insurer to really be considered the at-fault party and for the accident to be classified in the insurance world chargeable. As long as a claim for property damage exceeds the state threshold, the amount of your surcharge will be the same regardless of how much the company has to pay to repair damages. This is because surcharges aren’t dependent on the extent of damages but instead that the accident occurred in the first place. Just know that it’s possible that your rates could go up more if you’re to fault for an accident resulting in injury. In almost all states, a damage claim is chargeable for 36 months after the accident has been settled. While it’s still open and being investigated it’s not deemed chargeable. Since companies can’t change your risk profile in the middle of the term, your rates won’t actually change until the renewal following the date that the claim was settled. If you’re in an accident and there’s a Bodily Injury Liability claim, it’s possible that the claim could have a greater impact on your rates. Depending on the state that you live in, the company may look at injury claims for five to seven years, just like they look at serious moving violations. If a company doesn’t pay out for a claim, you might assume that they aren’t concerned that an accident ever happened. This couldn’t be further from the truth. Insurance companies can charge for chargeable accidents even when they weren’t the company that paid for the damages. When an accident happens, the driver is simply seen as a bigger threat or risk. If you didn’t report the accident to the DMV it’s still possible for the insurer to see your collision as long as a claim was filed. Insurance companies communicate with one another through a system by running C.L.U.E. reports. Anytime claims are filed, the database is updated to show fault, damages paid, and policy information. Don’t try and get away without mentioning the loss because there’s a good chance it will be found. Sometimes, multiple non-fault accidents or a combination of at-fault accidents with violations could affect your rates for longer than three years. Some states have Safe Driver Discounts and Good Driver Discounts that look at the big picture of your record. The impact is much greater when you’re already in a risky class. It can be frustrating to be placed in a situation where you aren’t sure if you want to use your insurance because you fear how using it will affect insurance costs. If you’re not happy with your rate increase, get quotes today through an online comparison tool and see if you can save. Enter your zip code below in our FREE tool and start comparing rates now!